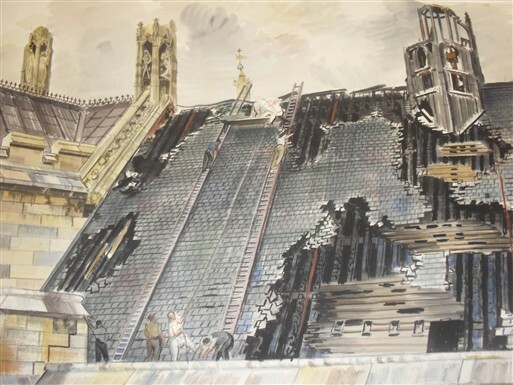 To mark the 70th anniversary of the Blitz, the SW1 Gallery hosted West End at War, a Westminster City Archives exhibition featuring the work of leading British official war artists of the period. Twenty paintings from the Archives' War artists collections went on public display, several for the first time. To accompany the exhibition, artists Jonathan Boast, Georgina Colbeck, Hannah Warren, Lina Avramidou, Alessandra Ferrini and BFI animator Tom Hillenbrand showcased new artworks, sculptures and an animation put together in conjunction with Westminster schools, young people and elderly residents. Rare colour film of Blitz scenes in Westminster and St Marylebone was also screened.